The official GroupMe app has been bumped to 4.2, up from the recently released version that included a new start screen, as well as Windows Phone 8 support. The popular service by Microsoft enables consumers to connect with others in groups with images and makes use of both push and SMS. So what's new in this latest release? Share pictures of any size! Though Groupme mentions the above as new features, they left a big one out: Lockscreen notifications. Yes, Windows Phone 8 users can head to their Settings to add notification icons and 'detailed status' information right on their locksceen. Sweet! It's a handy app should you have a bunch of friends or contacts that you need to contact where private areas can be created between select personnel. We've utilised the app and found it to be fairly reliable and useful for those who enjoy collaborating. 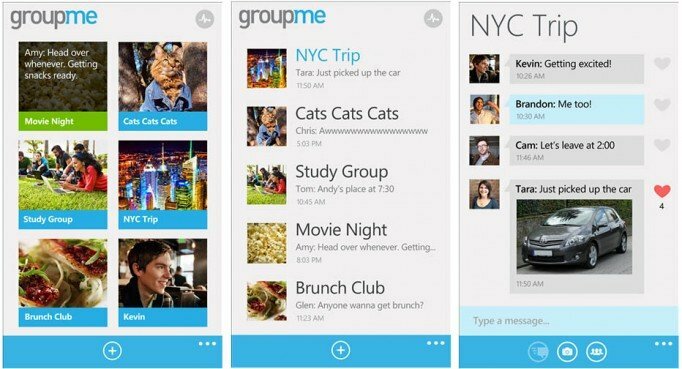 You can download GroupMe from Windows Phone Store for free. Thanks, Justin, for the tip!